The Huawei Mate 30 could be become the first smartphone to ship with a chipset built with an Extreme UltraViolet (EUV) process. That chipset will be the Kirin 985 and will be produced at the TSMC foundries. It will still be a 7nm chip, however the EUV enhancement will allow for 20% greater transistor density. This will be marketed at 7+ nm. The benefits of EUV will become more pronounced as nodes get smaller (e.g. 5nm). 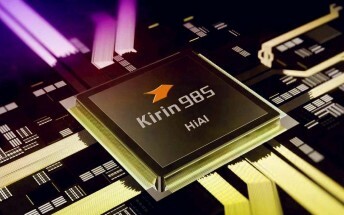 The Kirin 985 will come with increased clock speeds for higher performance (and perhaps some power savings too), but the CPU and GPU architecture will be largely the same. The new chipset will reportedly come with a 5G modem built in, however. Last year, the Apple A12 Bionic became the first 7nm chipset to ship in a commercial product, though the Kirin 980 was announced first. Both chips are produced by TSMC and the competition will continue this year (Apple is sticking with TSMC). Huawei has loftier goals than just claiming a “world’s first” title. It wants to become more self-sufficient and get to a point where 60% of the chips it uses come from HiSilicon. In early 2019 this number was 45%, up from 40% last year. Huawei’s high-end phones are already all-in on Kirin, but its entry-level line up still relies on external chips. This means that MediaTek may be the first to feel the effects of this new strategy.